Inspiring people to care for, learn about and enjoy our parks. The Foundation and its members have provided millions of dollars in support for our parks. Thanks to individual donors like you, the Foundation has provided more than $10 million to support our San Mateo County parks. 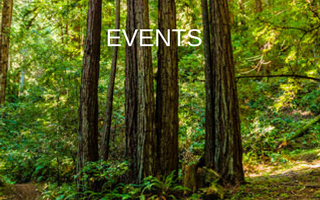 Enjoy nearly 200 miles of trails across more than 17,000 acres in San Mateo County's 20 fabulous parks. Join us for docent-led hikes, informative talks and opportunities to work with other volunteers in maintaining our parks. Will You Go Out With Us? You may remember that REI did something different on Black Friday last year—they closed the co-op’s doors and invited the nation to opt outside with them. And more than a million people did just that. 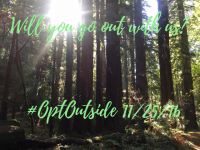 This year on Black Friday, we’re going to join REI outside, and we’d like you to opt outside with us. Let’s skip the malls and celebrate life outdoors. You can: Look for the peregrine falcons at Devil’s Slide Go for a sunset walk along the California Coastal Trail at Mirada Surf Count the banana slugs along the Pomponio Trail at Memorial County Park Ride your bike along the Bay Trail and watch the planes land at SFO at Coyote Point Grab the bench with an ocean view at San Pedro Valley Park and breathe deeply! To learn more, visit the REI OptOutside site. 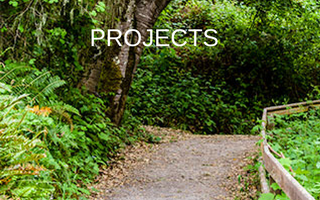 The San Mateo County Parks Foundation was established in 1998 to provide additional financial support for the recreational, environmental and educational programs and projects of the San Mateo County Department of Parks. The Foundation is governed by a volunteer board of directors and has a small staff. The Foundation seeks grants and contributions from individuals, foundations and businesses. Recognition of gifts is done in accordance with the county's approved donor recognition guidelines. The Foundation does not manage the projects directly. The San Mateo County Department of Parks is responsible for the design, permitting, contracting and maintenance of the projects. 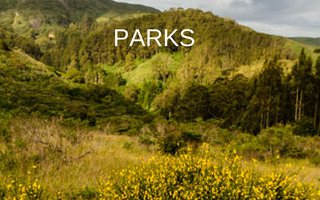 The San Mateo County Parks Foundation inspires people to care for, learn about and enjoy our parks. In partnership with the San Mateo County Department of Parks, the Foundation raises funds to support projects, programs and volunteers for benefit parks and visitors. We are committed to conserving and improving the quality of our county parks for current and future generations to enjoy.